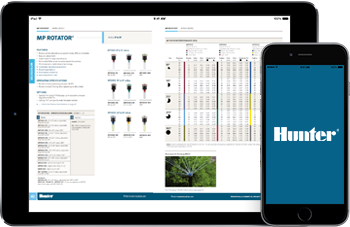 The Hunter Irrigation Catalogs App for iOS and Android allows you to download the catalog directly to your smartphone or tablet for future access without an internet connection, so you can access the Hunter catalog anytime, anywhere. Click the links below to download now. Hunter Res-Com Irrigation catalog has complete information on our ever-expanding product line. The catalog features easy to read charts, product features, advanced features, operating specification and specification builder. The Hunter Price List has an interactive Table of Contents, making it easy to find the page you're looking for. The Replacement Parts List gives you a breakdown of each product replacement catalog number with an easy to identify product illustration. NOTE: Not all parts are available through the authorized dealer. Adobe Reader is required to view and print PDF files. Download Adobe Reader here.